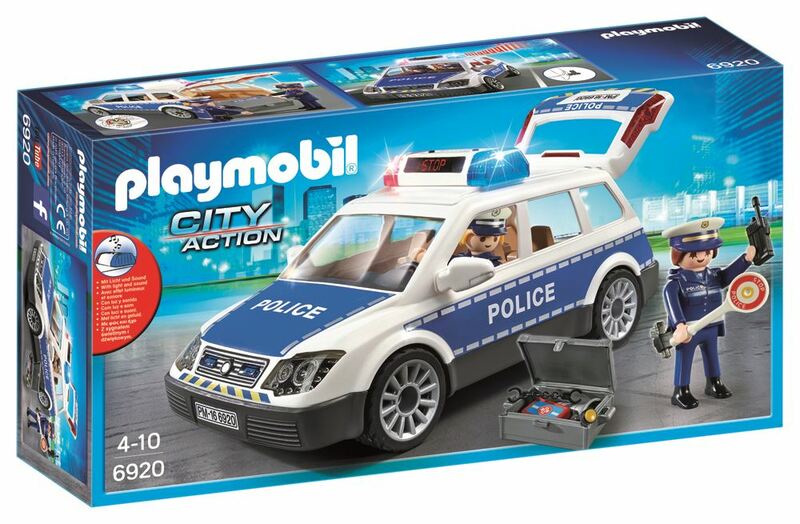 Join the thrilling, action-packed Playmobil city scene and take a ride around the streets with the happy police officers in their Playmobil Police Car with Lights. When they are off duty, the officers can relax and simply enjoy a fun drive, however, as soon as their services are required, you can turn on both lights and switch between two siren sounds to signal that they are on their way! Includes: 2 figures, car and accessories. Part of the City Action range. Age 4+ years. Distributed in New Zealand by Holdson.